The garden of the Hôtel Galilée where Set and Socrates Haltigan have a discussion. 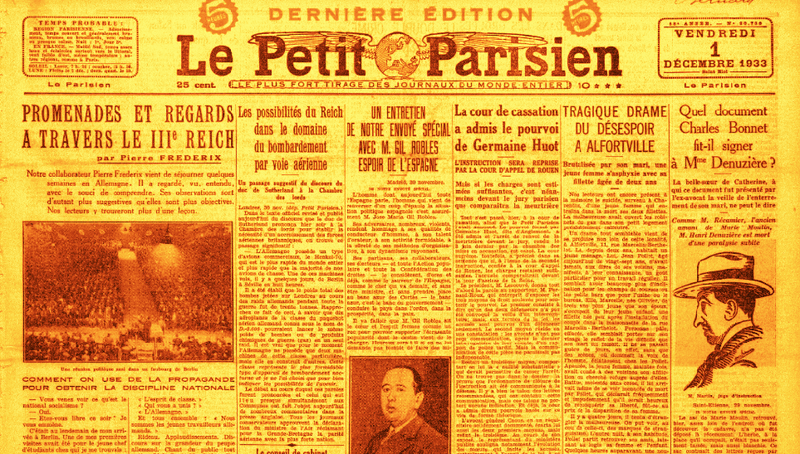 The image above is a copy of the front page of Le Petit Parisien, December 1, 1933. Its front page carries a story about a Nazi meeting in Berlin. Beside it is another report of the superior air power of the Nazis. Both these stories engage the attention of two characters in Set at Random; Set and his friend, Socrates Haltigan.